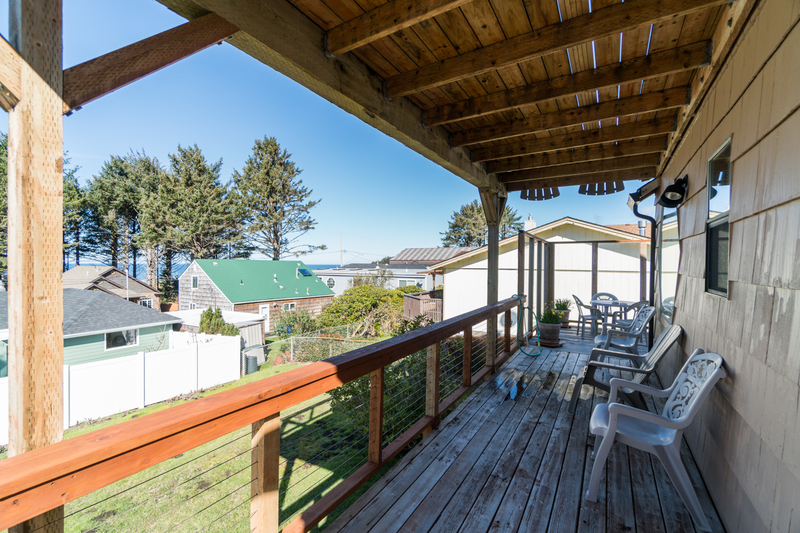 Betty's Beach Bungalow is a cute cottage in the heart of Lincoln City close to Chinook Winds Casino, shopping and downtown restaurants. 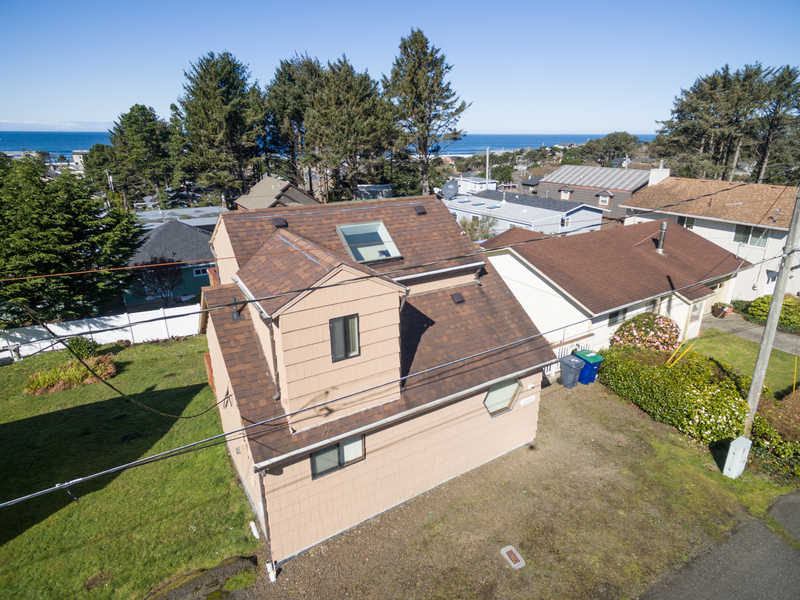 The home offers great views from every level. Step inside and you will find the dining, living, kitchen and first bedroom with bath. 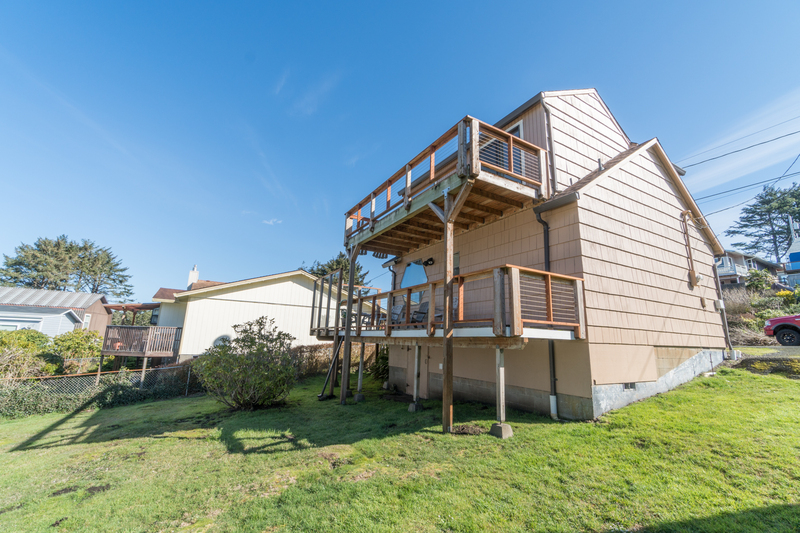 Upstairs is the private suite with a large deck to sit and watch the sunset. Great beach access is just a short walk or drive away. Beach access: About 5 blocks west of home. Parking is available for two vehicles. 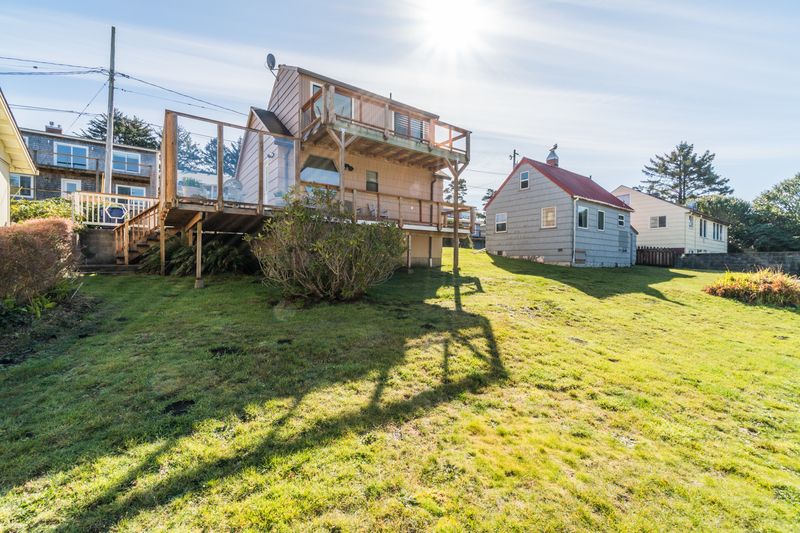 "There was so much about this property to love, but sitting on the upper deck in the evenings was probably the best experience. Quiet and peaceful just listening to the ocean. The inside of the house was warm and cozy, everything in good condition. The kitchen was amazing (although we didn't cook much) but so much equipment and very clean. Can't wait to rent Betty's Beach Bungalow again." "Hello Katherine, Thank you for your review. We are glad to know that you had a peaceful visit to Betty's Beach Bungalow! We look forward to having you stay with us again soon!" "This was a very nice rental! 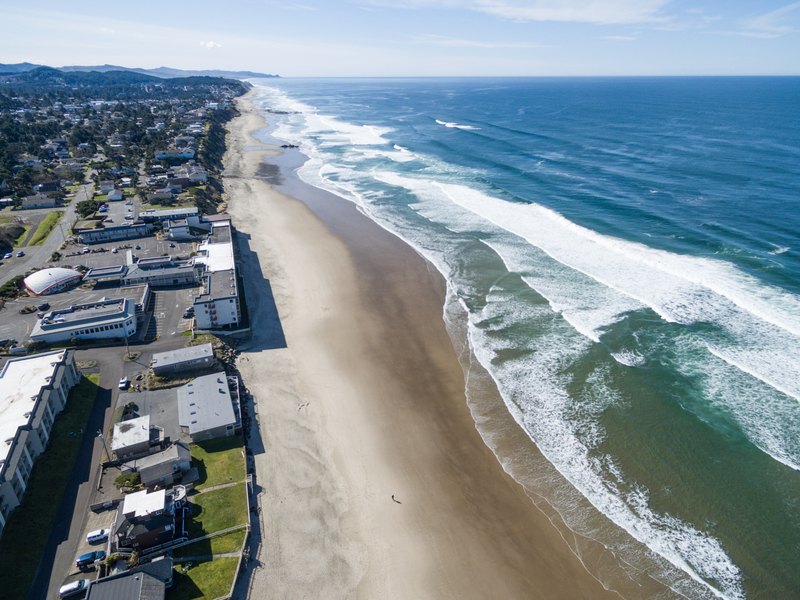 I will always try and stay here when I visit Lincoln City Oregon! " "Hello Earlene, Thank you for your review. We are glad to hear that you had a great visit at Betty's Beach Bungalow. We hope to have you stay with us again in the near future!" "The house was very clean and cozy. Just right for our family of four. The view is pretty good too and you can hear the waves. " "Hello Nick, Thank you for your review. We are very happy to hear that you loved your stay at one of our newer rentals, Betty's Beach Bungalow! 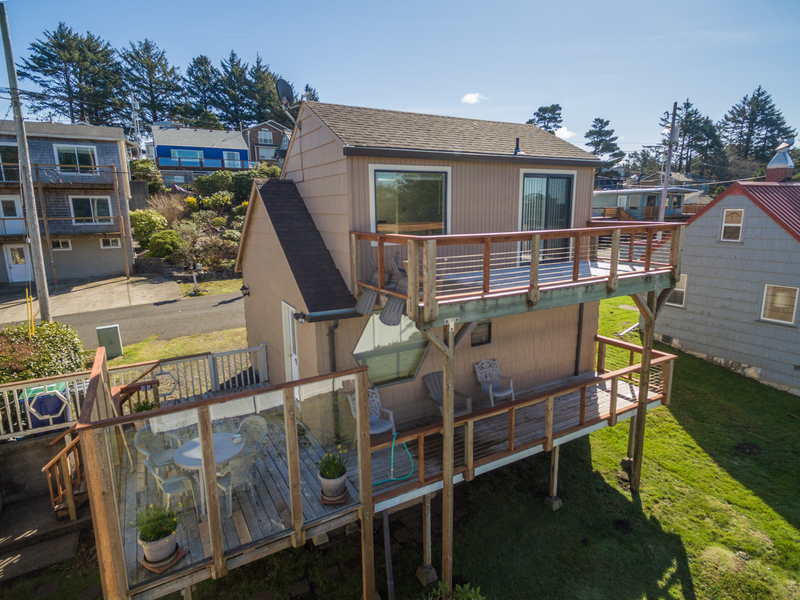 We hope to see you and your family back again soon on the Oregon coast. Thank you again for your review." "It was a great time. Enjoyed it very much and will be going again." "Hello Tiffany, Thank you for your review. We are glad to see that you enjoyed your stay at Betty's Beach Bungalow! We can't wait to host you again soon on the Oregon coast!" 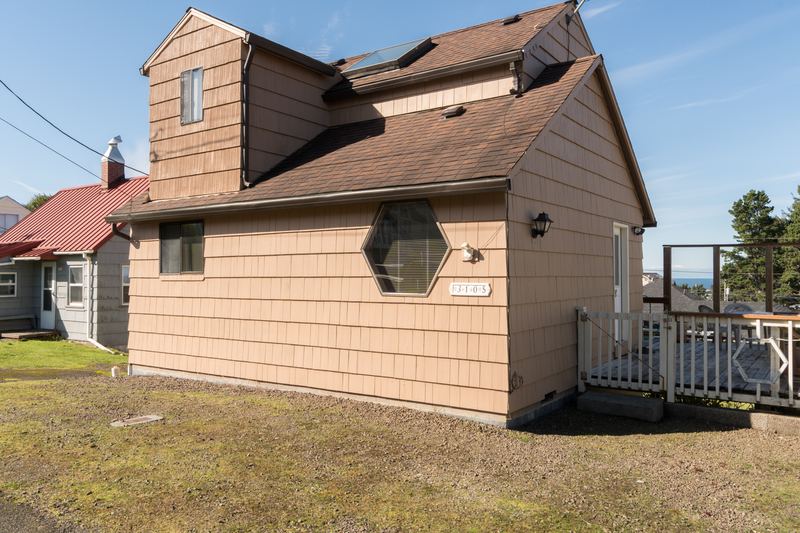 "Nice little spot, close to everything and very clean. We enjoyed our stay a lot, especially the dog." "Hello Ralf, Thank you for your review. We are glad to hear that you enjoyed your stay at Betty's Beach Bungalow. We hope to have you stay with us again soon!" "Quaint, peaceful, clean and....wonderful. Had a great time and will be visiting again. Really a lovely little place." "My sister & I planned to stay 3 nights. We were having such a great time, we called VBR and were able to stay an extra night. This house was cute, cozy & very clean. The kitchen light was not working. I called VBR and the maintenance man was there very quickly, installed a new switch and even helped us understand the television! The staff at VBR is extremely friendly and helpful. They seemed to truly want our stay to be a good one." "Hello Janelle, Thank you for your review. We are glad to hear that you enjoyed your stay at Betty's Beach Bungalow. 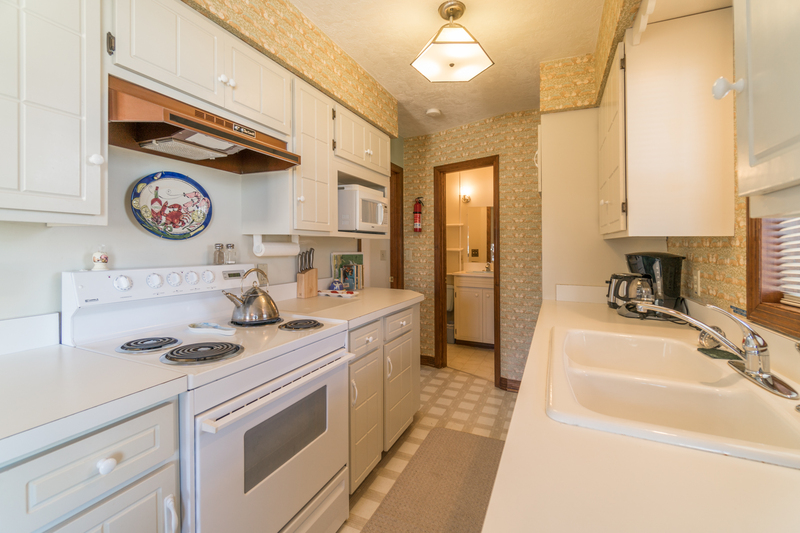 We are excited to hear that you loved the home so much that you wanted to stay an extra night! We are also glad that maintenance was able to get out to the home quickly to help you with any problems you were having. We hope to have you stay with us again in the near future. Thank you again for your review. " 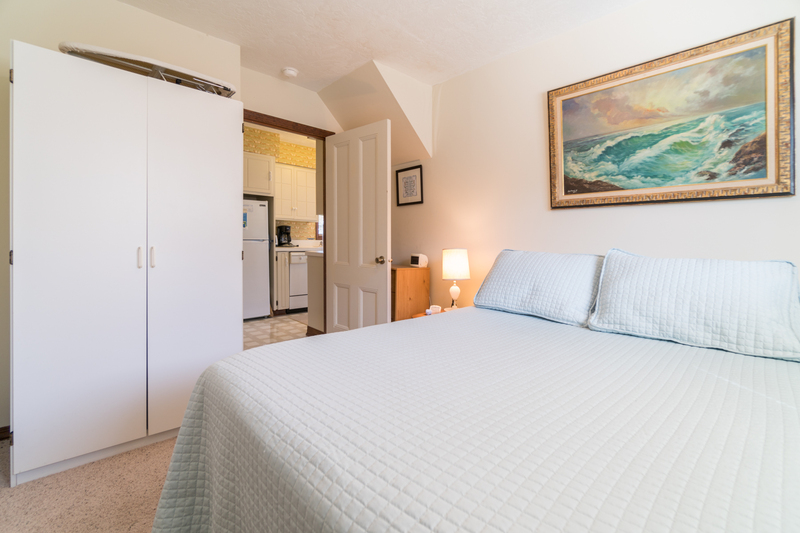 "Our stay was just what we were looking for 100 times better than any other time to the Oregon beech"
"Hello Daniel, Thank you for your review. We are glad to hear that you loved your stay at Betty's Beach Bungalow! We hope this means we'll see you back again soon for another wonderful getaway to the Oregon coast!" 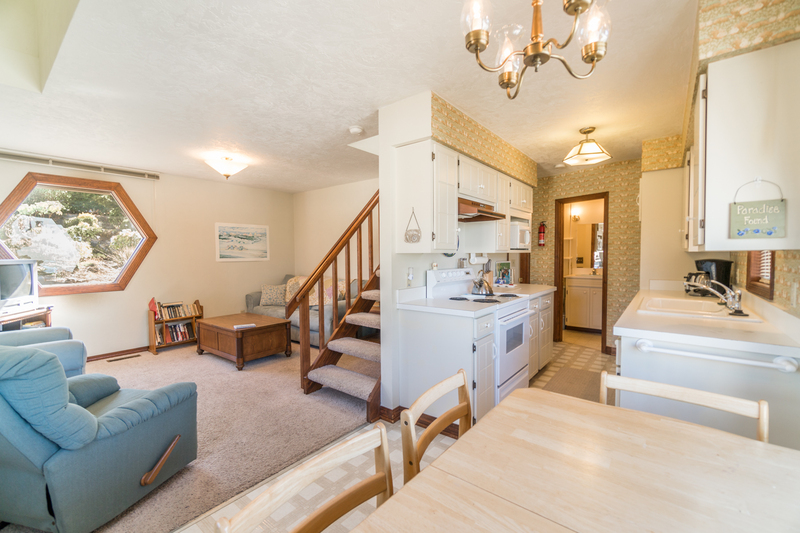 "The home was well worn but very clean and comfortable with basic amenities. We were hoping for a washer/dryer as laundry detergent was provided, but apparently that was not on the list. 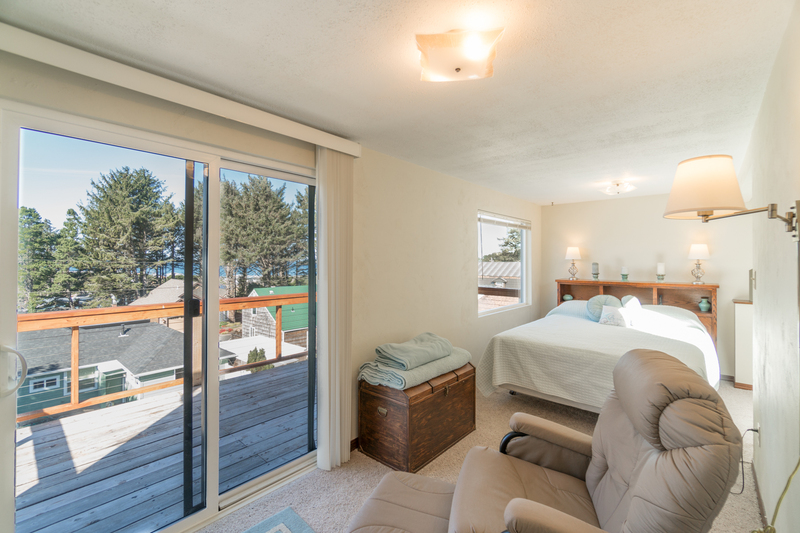 Other than that, there's a great view of the ocean and it's just a short walk to beach access. Very close to Highway 101 which made it easy to get out and about. Also close to grocery store, liquor store and restaurants. " "Hello Wendy, Thank you for your review. We are glad to see that you enjoyed your overall stay at Betty's Beach Bungalow. 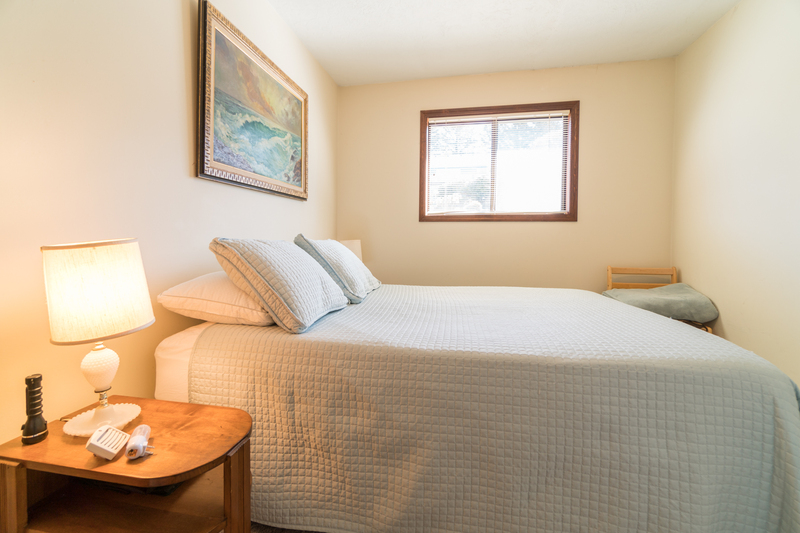 We are glad that you enjoyed the closeness to Highway 101 and several shops and the beach. We are sorry to hear about the laundry issue. This was most likely left by accident by a housekeeper. Washer/dryer is not listed as an amenity for this particular home. We hope to have you stay with us again in the future. Thank you again for your review." "We had a great time! The house was cozy and comfortable." "Hello Lisa, Thank you for your review. We are glad to hear that you enjoyed your stay at Betty's Beach Bungalow! 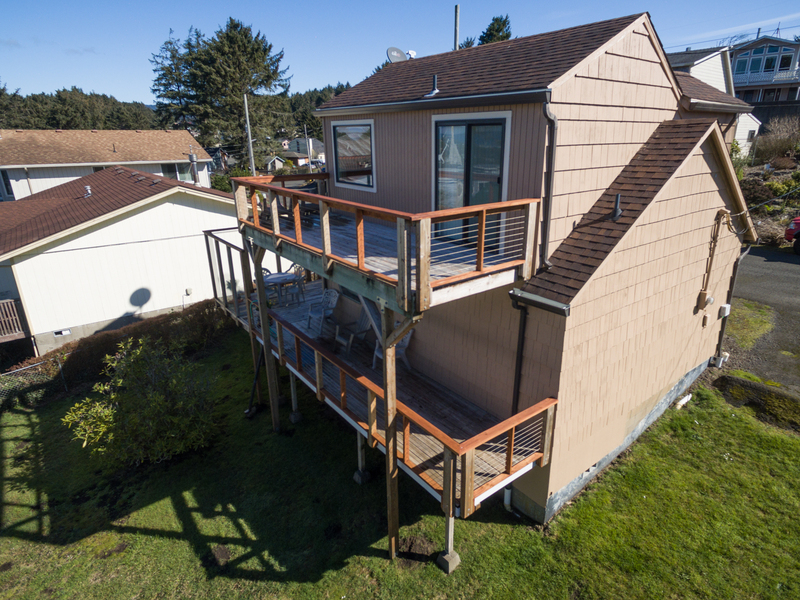 We hope this means you'll be back again soon on the Oregon coast for another wonderful getaway!" "We had fun trip and a cute place to stay in. " "Hello Joyce, Thank you for your review. We are glad to hear that you and your family had a great stay at Betty's Beach Bungalow! We hope to have you stay with us again soon!" "Great three days. 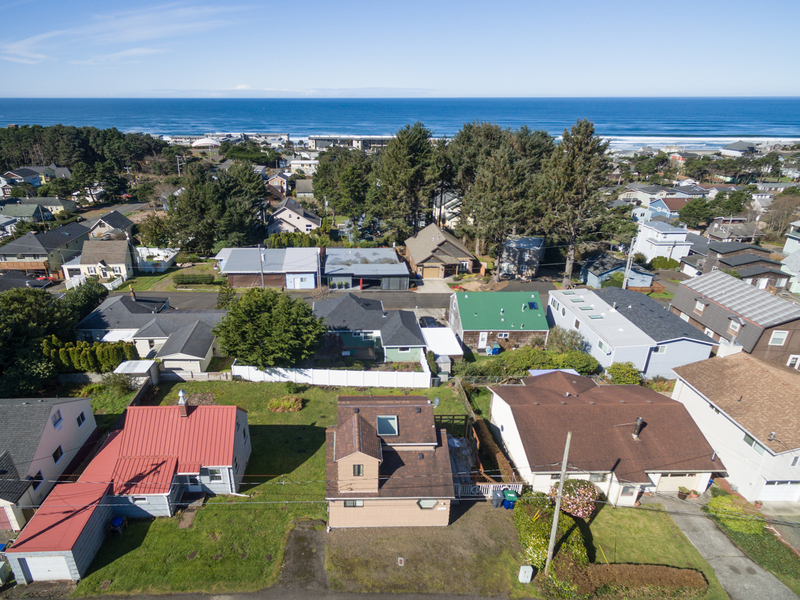 Great location for easy access to all that Lincoln City has to offer. Very clean, and pretty much everything you need. A little short in silverware, but plenty of plates and bowls." "Hello Margaret, Thank you for your review. We are glad to hear that you enjoyed your stay at Betty's Beach Bungalow. We have put a work order for more silverware. Thank you for bringing this to our attention. We hope to have you stay with us again soon!" "House was ok, clean and comfortable. A lot smaller than the pictures. Guys were disappointed with the little old tv ( Walmart has really cheap flatscreens) trying to watch football playoffs. Also, staying 7 days we should have had more towels etc, especially with no washer/dryer. All noise echoes up the open loft. " "The house is nice, it appears bigger than the pictures, but was the perfect size for the 3 of us, plus our dog. 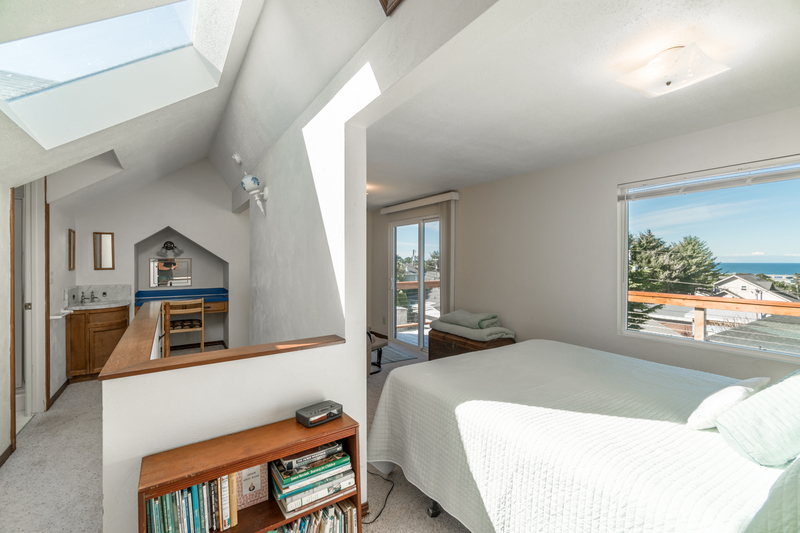 The loft upstairs is nice but there is no real privacy if someone is downstairs, would be best for couple. We enjoyed both porches and listening to the ocean. We'd stay here again, but likely just my husband and myself." "OK Not as nice as first time in June"
"Hello Daniel, Thank you for your review. We are glad to hear that you enjoyed your stay at Betty's Beach Bungalow. We are sorry to hear that the stay wasn't as nice as the first time though. We'd love to know why. Please send us an email in to let us know what happened the second time around. Thanks again, and we hope to see you in the future."